At Mother Dough, joy abounds in the baking and breaking of bread. Our breads are entirely handcrafted with artisanal technique, and baked fresh daily. We only use quality ingredients, and our organic flour is sourced from environmentally conscious grain millers. Our team of dedicated bakers are happy to bake throughout the day, for you to enjoy a fresh crusty baguette or buttery croissant. All for the love of the craft and sharing. 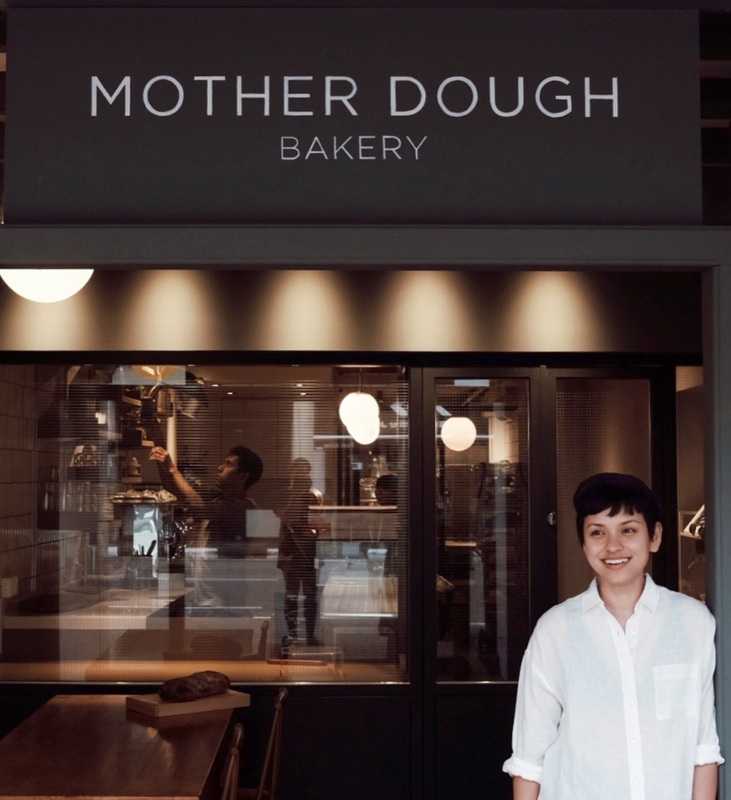 Born from a deep-seated love for baking and breaking bread, Mother Dough Bakery was founded in May 2018 by head baker, Naadhira Ismail. She started her bread and pastry journey in 2012 at the International Culinary Institute in New York and spent the next four years in the city working at various bakeries and restaurants. But it wasn’t till she started her stint at Runner & Stone where her love for the craft deepened. She tasted one of the best baguettes in this Brooklyn bakery and carried on to study the intricate process and rhythms of slow fermentation. Mother Dough refers to the fermentation starter or sourdough culture used in bread making; an essential ingredient that characterises a bread. Theirs came all the way from New York and once resided in a tiny kitchen of a beloved Brooklyn bakery. She now sits in North Bridge Road, absorbing the local atmosphere and reinventing herself. She is the basis of all their pastries and naturally leavened breads, giving rise to complex flavours, textures and nutritional value. Handcrafted with artisanal technique with an emphasis placed on flavour and quality ingredients, everything at Mother Dough is baked daily. Naadhira’s favourite way to start the day is having fresh baguette with honey, and dunking croissant into coffee. And backing her up, is a pretty awesome team.